New Custom Pumps Are A Perfect Fit For Your Ride. 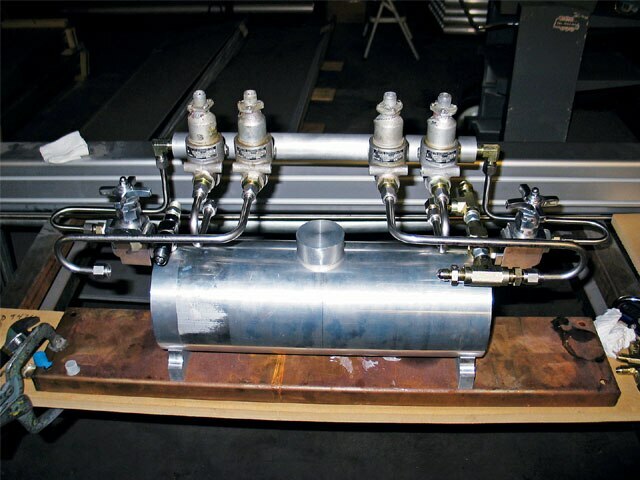 The AH-2 crew worked on a new pump design that will help you be different from the rest. The difference is that the block itself is round instead of square, and the same size as the tank, so it looks like a solid piece of aluminum stock. 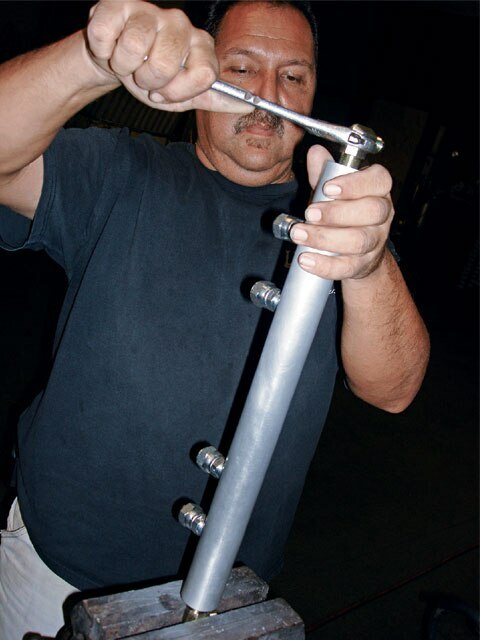 These new Billet Series pumps are a perfect fit for the lowrider that we were using for this article. The car’s owner also wanted to be different and decided to use a ‘57 Chevy Bel Air instead of a traditional first generation Impala. The body lines of the ’57 are nice and the chrome gives these cars personality. Other things that give cars personality are the accessories that we put into them. 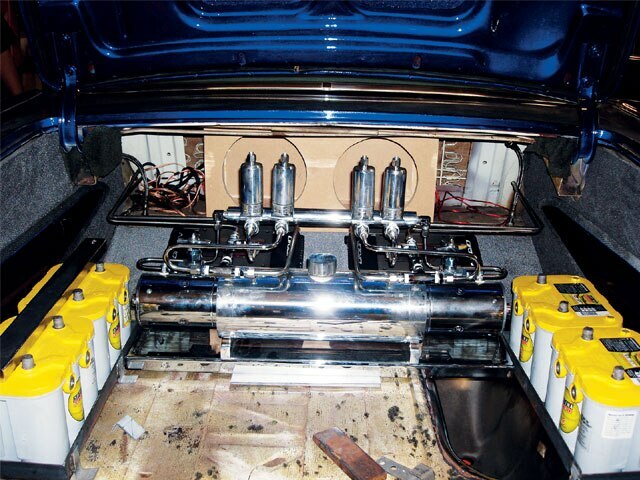 In this case, it was a custom setup by AH-2 Hydraulics, one of the first created and being built as a limited edition. 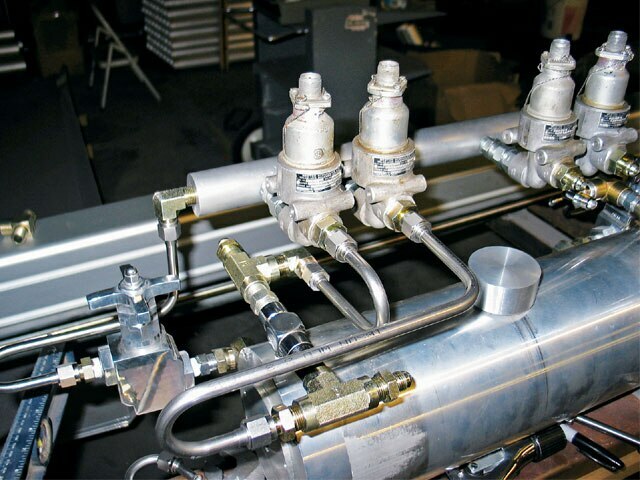 Now follow along as we show you how this setup came together, from the custom manifold to the tubing that runs the fluid. 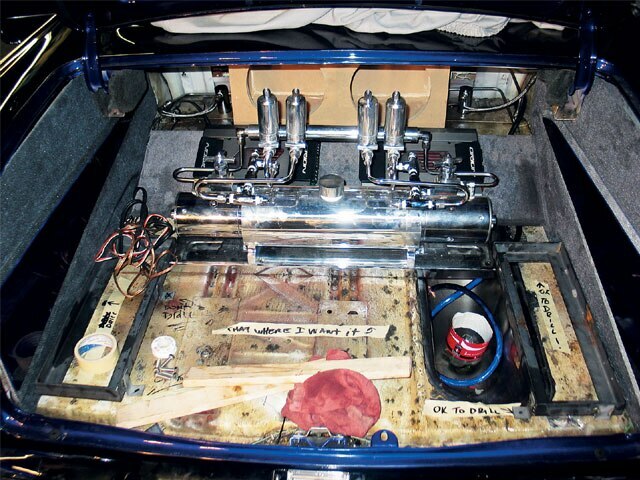 This ’57 Bel Air was ready to hit the boulevard with its new AH-2 Hydraulics’ billet setup. 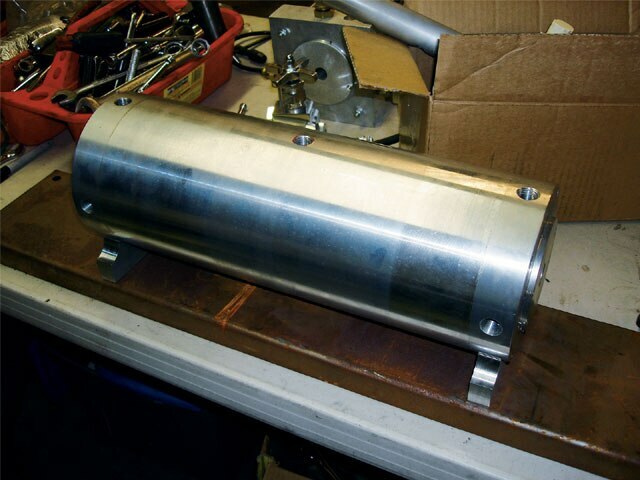 We started off with the billet block and aluminum tank. We then began designing the parts that were going to be needed to make this work. 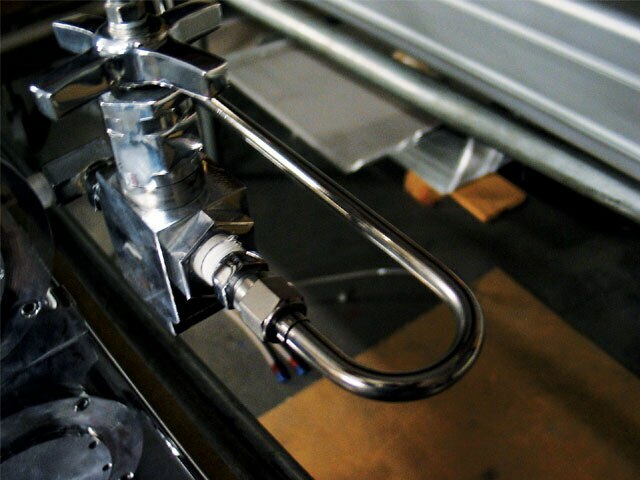 Quick releases will allow the hydraulic dumps to be worked on, from maintenance to breaking them down for polishing. 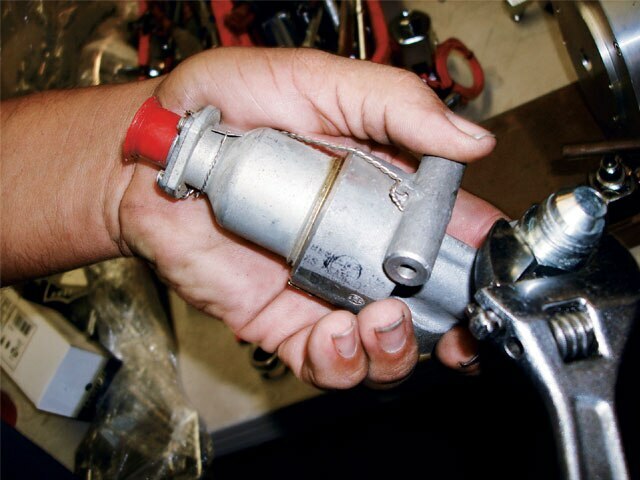 The vintage hydraulic valves that were used received the other part of the quick release fitting setup. Pipe thread to a #6 AN elbow was used to keep the manifold floating in the air. 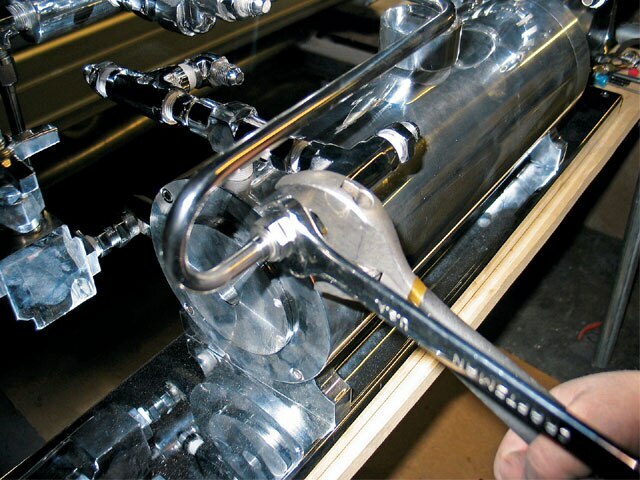 A custom manifold was created to hold the dumps that were going to be used. 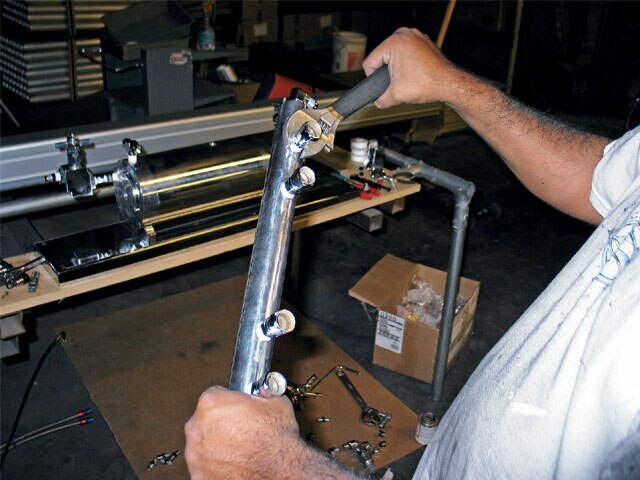 When assembling these hydraulic blocks, you need to take the same precautions. 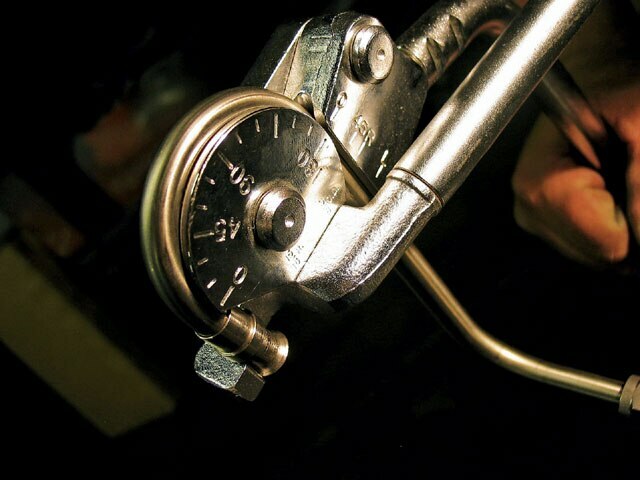 Make sure to use the O-ring that seals the pressure from the pump head to the block. All of the fittings that were used were sent out for chrome. We also sent out a few extras to make sure that we had enough when it was time to put the pump back together. 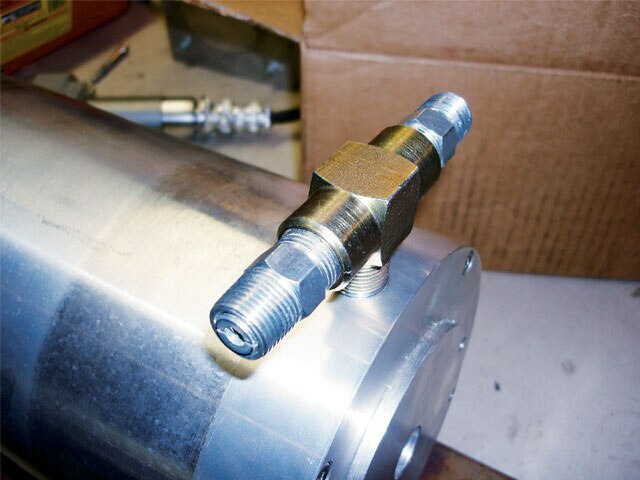 When setting up the pressure lines, always remember to place your check valves correctly. If you don’t, you can blow out your pump heads as the pressure has nowhere to go. To get the tubing that you see here, we had to do a few 180-degree bends. 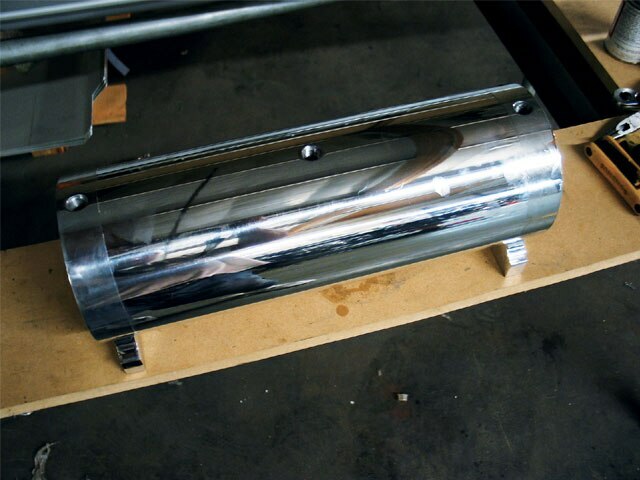 This pump was ready to be torn down and have all of its pieces polished and chrome plated. 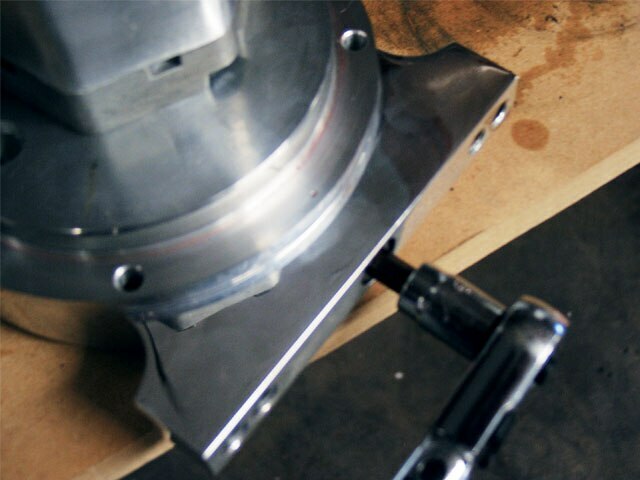 The block base will keep the hydraulic block up straight. The slow-downs were the first to be put back on. 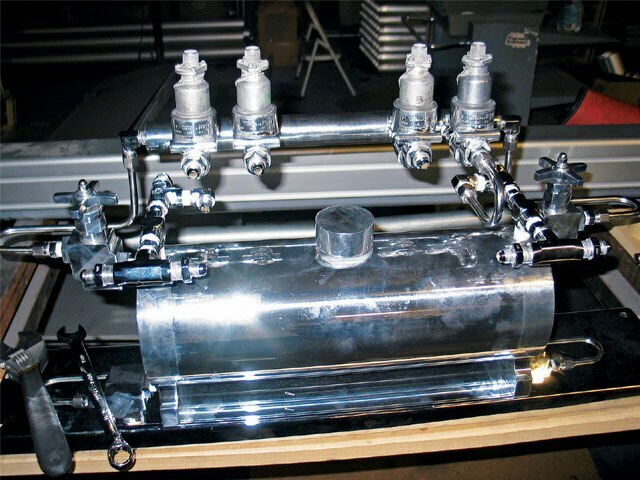 The pressure lines were plumbed in 31/48-inch stainless steel tubing. 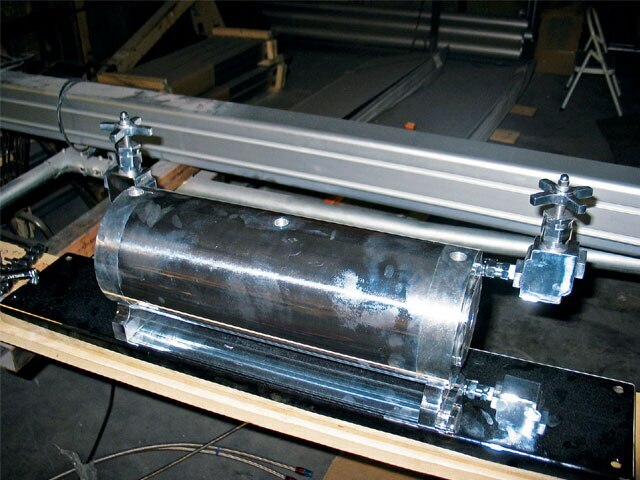 We also had to soften the look with 90-degree bends that made the tubing flow. As you can see, the same process was used for both sides of the pump, as the right side mirrors the left. When you do the tubing, this can be a real task as it’s sometimes more difficult to make the second line identical to the first. 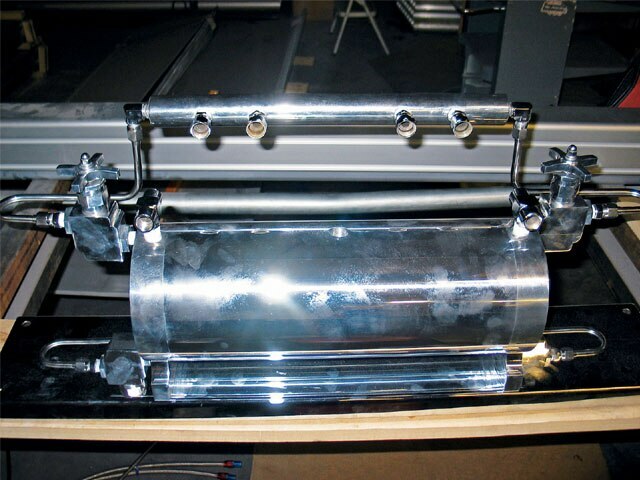 The round blocks and aluminum tank were ready to be put back together. 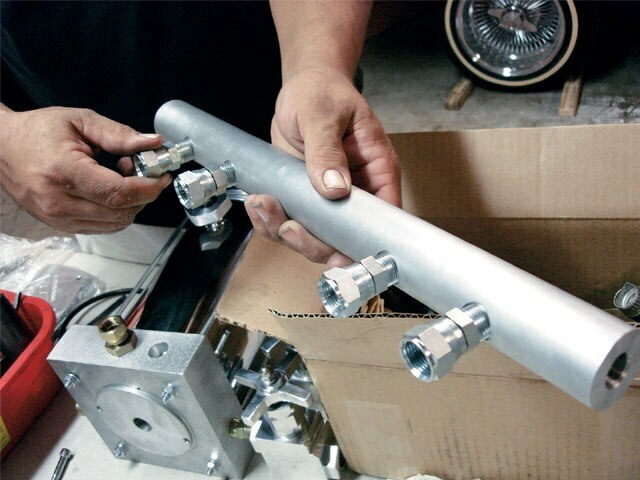 The polished manifold and chrome fittings were put back together. 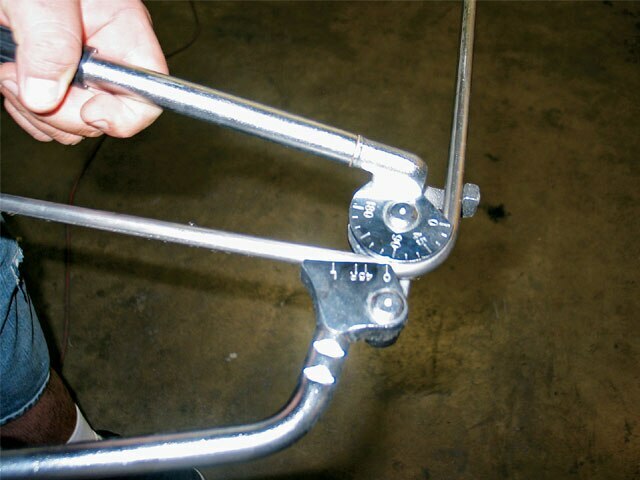 Since this car wasn’t a hopper, these racks were bolted to the frame instead of being welded in place. 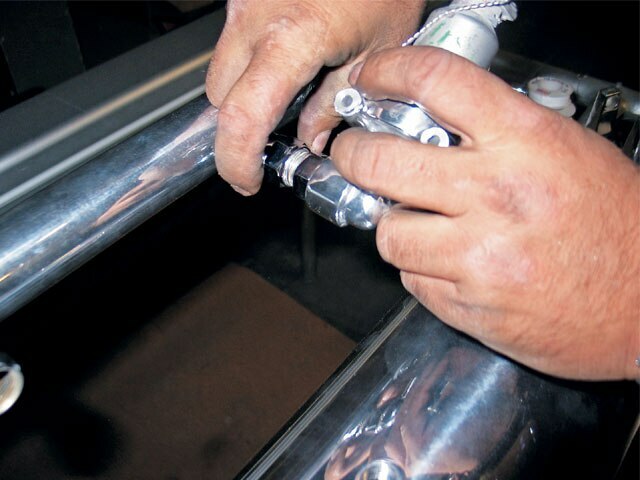 The polished stainless steal tubing was then put back together. 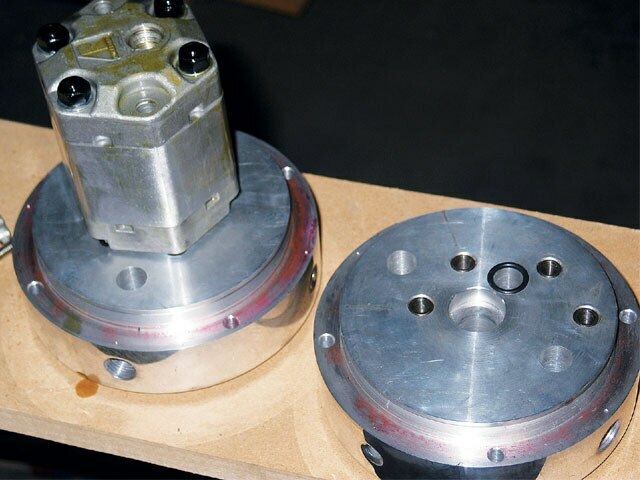 The vintage hydraulic valves were bolted back on one at a time, making sure that they’re all square. The tubing was then tightened down to lock everything in place. 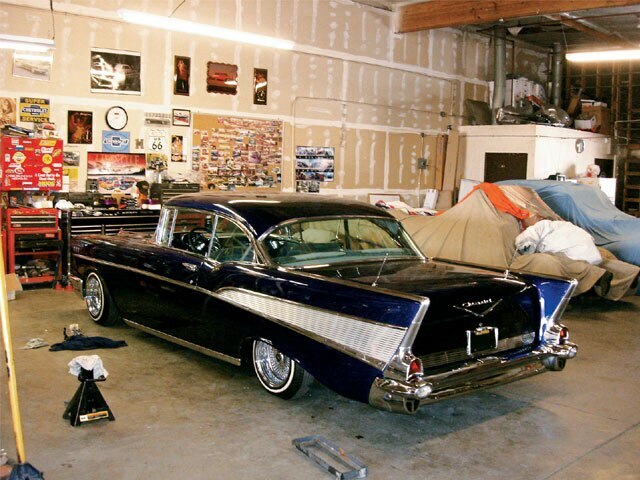 This Bel Air was ready to hit the boulevard with its new billet setup. 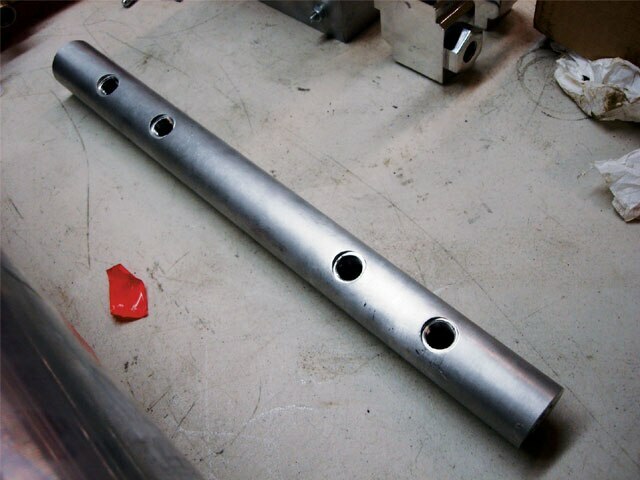 The manifold was now ready to have the dumps being used bolted back onto it. 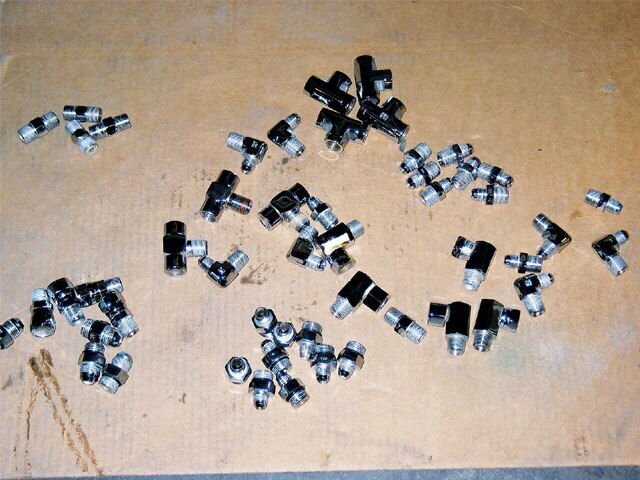 The pressure return lines were loosely bolted back in one at a time so that they could be adjusted before being tightened.